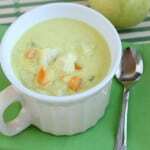 Chicken Orzo Soup - Dessert Now, Dinner Later! If you know me, then you know that I love soup! 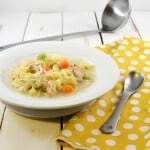 And this Chicken Orzo Soup, is another good one to go in the books! 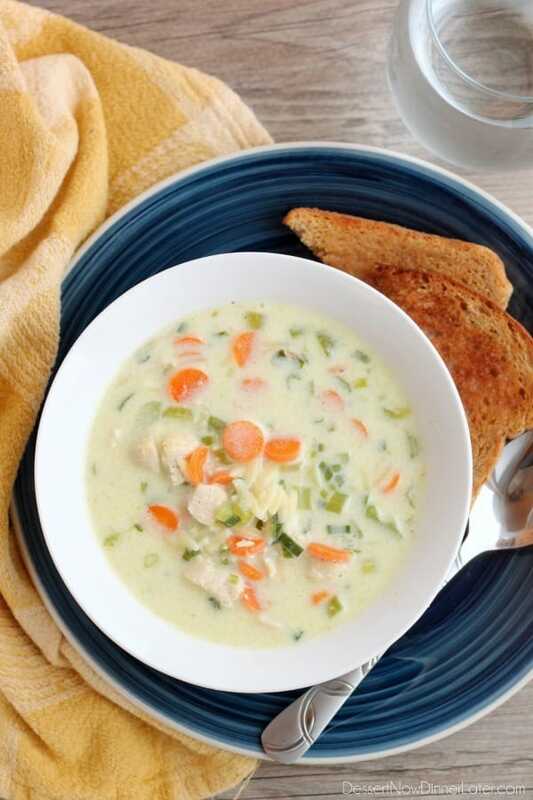 Plenty of carrots, green onions, celery, and tender chunks of chicken, in a creamy broth with orzo pasta throughout. 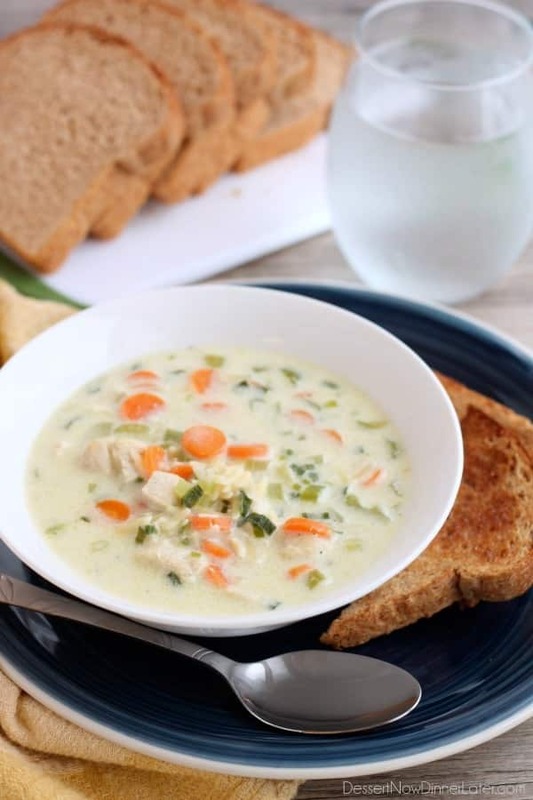 I almost like this better than chicken noodle soup because the noodles (orzo) are small enough to not soak up all the liquid when you are re-heating the leftovers. Now, I throw in a lot of veggies in my soup, because I’ll be honest, it’s one of the few times I have vegetables with my dinner, but feel free to tweak what you put in. Most veggies will work, add more, do less, it’s a pretty versatile broth. Melt butter in a large stock pot. 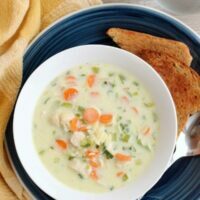 Add cubed chicken and carrots. Cook until the chicken is almost done. Add the celery, garlic and onions. Cook until soft and fragrant. Add the chicken broth and simmer for 5 minutes. Meanwhile, cook orzo according to package directions. Drain and then add to the pot of soup. Add the half & half. 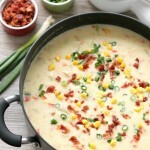 Thicken the soup slightly by mixing the cornstarch with COLD water and add it to the pot of simmering soup. Season with salt, pepper, and additional seasonings as desired. This is looking seriously delicios! 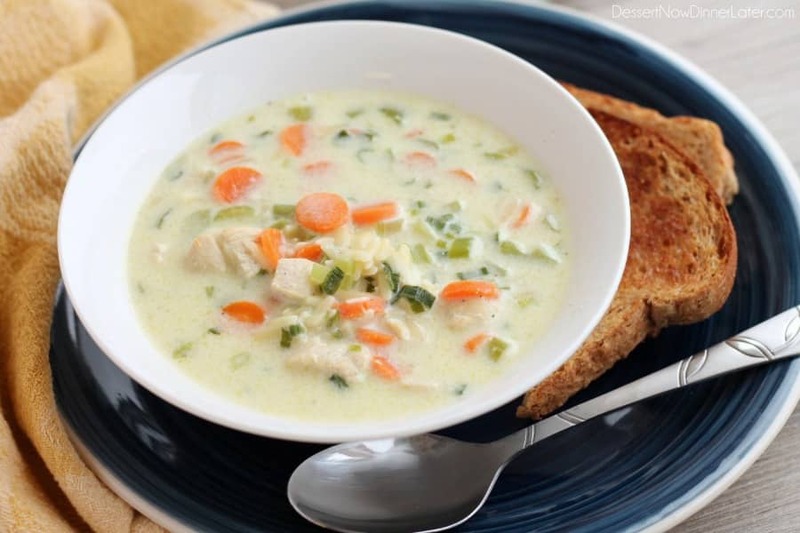 You are the queen of soups, Amber! This is another total winner in by book. This looks so good Amber! 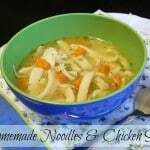 I love the combo of flavors in this one, and I love orzo in soups! Thanks Aimee! We really enjoyed this one! Orzo is one of my favorite pastas to create with! You should check out my Garlic Parmesan Orzo recipe! We have made it at least 20x! That’s great! So glad you liked it!